2015 is Fradkin & McAlpin Architect’s 15th Anniversary. To celebrate, over the next months we will be highlighting 15 projects that best define our design. The Russell Sage Foundation, the gold standard in research and study in the sciences looked to Fradkin & McAlpin to fuel their growth. 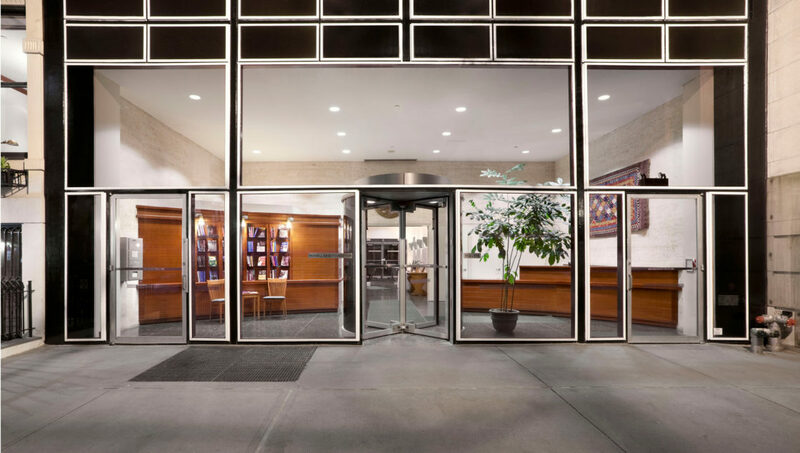 By 2001 the Foundation had outgrown their headquarters on East 64th Street, designed by Philip Johnson. 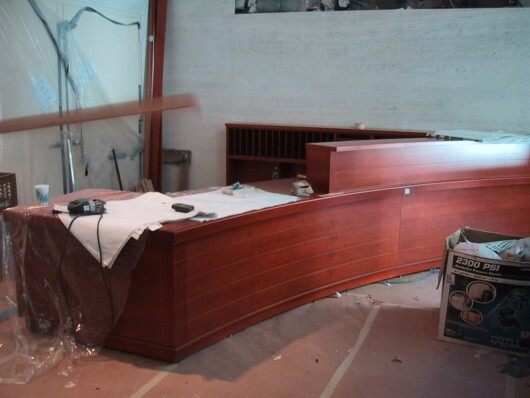 Visiting scholars’ offices were strewn about the city, and the Mid-Century Modern lobby had been radically altered. They To consolidate, expand and consolidate, update and rationalize their facilities, the foundation acquired an adjoining Victorian townhouse. The architectural challenge was to join the two buildings - with varying floor heights and diverse looks - and at the same time preserve each structure’s distinct identity. The Foundation’s brief included upgrading each building with contemporary systems, upgraded to current codes. Their need for expanded conferencing space became evident in the design process. 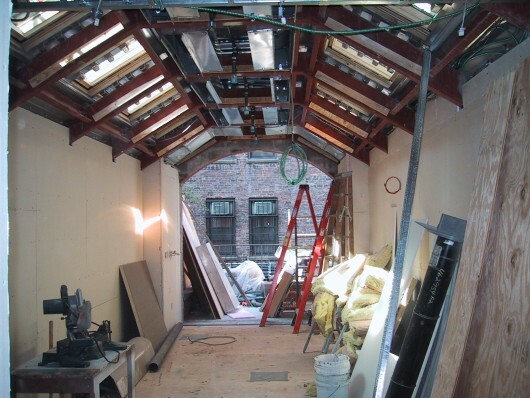 Fradkin & McAlpin’s solution connected the buildings on multiple levels, added an accessible elevator, and added a new presentation room, a new structure built in what was townhouse’s garden. Spaces throughout were reconfigured for effective work flow and exchange of ideas. The Johnson lobby was restored. Reception and display housed in classically detailed millwork in the travertine and glass lobby joined the two buildings at entry. 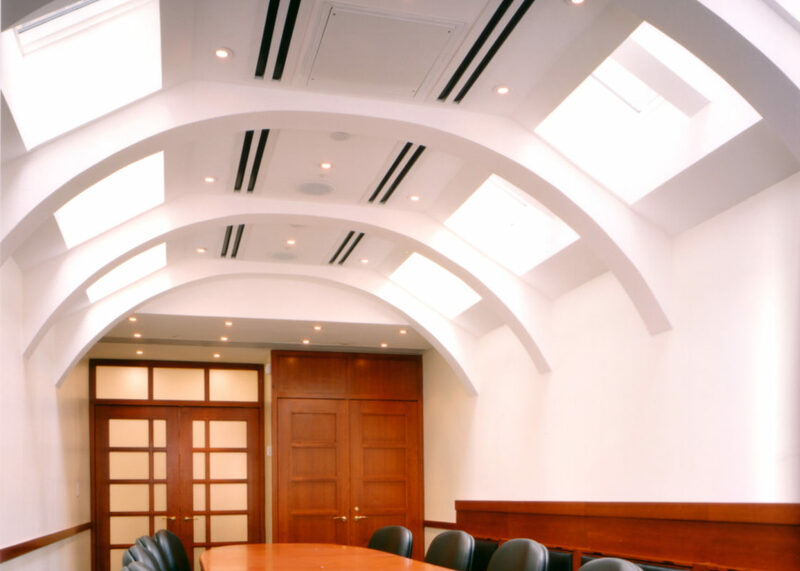 Since the project’s completion, the Russell Sage Foundation has continued to advance its work - in an invigorated environment conceived and built with Fradkin & McAlpin’s guidance and expertise. Click here to read more about the Russell Sage Foundation in our portfolio.